If you’re down to the wire and still trying to figure out what to get your significant other, don’t worry. There is still plenty of time to find the right gift, whether you’re considering ordering flowers online or want something else to go along with it. Here are five romantic gift ideas, sure to bring a smile to your sweetheart’s face. Your time may not cost anything, but it’s by far one of the most valuable things you have to offer. Whether you use it to create something, knock out an item from the honey-do list, or put together a coupon book of things for him or her to cash in on in the future (childcare, a backrub, etc. ), your time can be the best gift ever if used wisely. If you have time and cash to spare, treat your beloved to a special outing. Head to the movies, a spa, a concert, a wine tour, or even a nice weekend away. If you see to all the details in advance, so your significant other can just go along for the ride, it’s sure to be appreciated and remembered forever. The quiet time right after the holidays will also allow both of you to relax and reconnect. Think back to the last time your significant other shared a pleasant memory with you. See if it’s something you can build upon. Was it a childhood toy? There’s still time to find a duplicate. Was it a cherished vacation? You can book a similar one or pick up items to bring back memories of it. If you’re not sure, do a little detective work now and find out. Did your sweetheart come across something in the past year but couldn’t quite justify the cost of? Now’s the time to let them indulge a bit. For some people, luxury is the occasional cup of gourmet coffee, whilst others have eyes drawn to more extravagant trinkets. If it’s within your means to pick it up, do so. It’s not necessarily the cost of the item that gets attention here; it’s the fact that you noticed what was important and cared enough to indulge them. The best gift stories always involve items that were chosen for a specific reason or because they symbolize something. Even something as simple as a keyring with a significant date or geo coordinates engraved can be special. Photo frames or collages with the two of you and family are always a win. Think of what matters most to your significant other and incorporate it into your gift. Flowers are one of the most romantic gifts you could possibly purchase and you can still order them in time for the holiday. 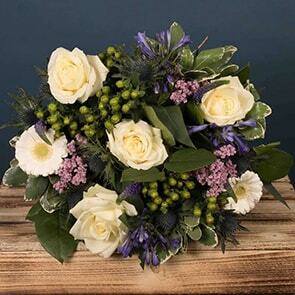 Browse our Christmas Collection or shop for romantic flowers. Our carefully curated collection has unique offerings to suit any taste and is sure to create a lasting memory. 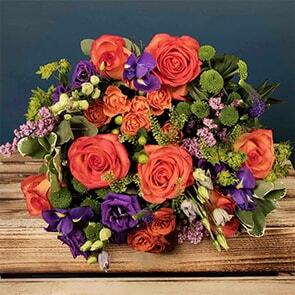 If you want to go the extra mile or miss the cut-off for delivery, check out our new flower subscription service. 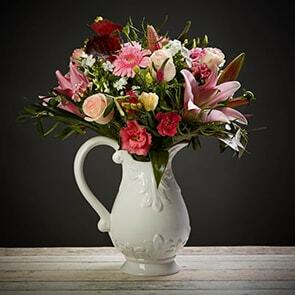 You can pre-order flowers to arrive every week, fortnight, or month and choose the duration that works best for you.